At Just Lab Coats, we offer high quality snap front lab coats designed for both - men and women. Our lab coats are designed using the finest fabric to ensure comfort, style, and functionality. Available in a variety of colors and sizes to entice all moods and preferences. Get your perfect fitting lab coat with JLC without spending an arm and a leg. Flaunt your style and enjoy unmatched comfort with our dedicated snap front lab coats range. 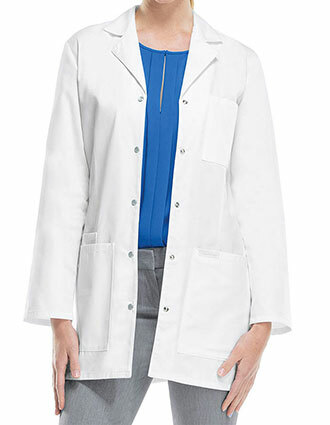 Our lab coats are super easy to wear making them a value addition to your nursing apparel. With sizes ranging from XS to 5XL, our lab coats are great for people of different sizes. At Just Lab Coats we feature some of the finest brands including Maevn, Barco, Landau, HeartSoul and more to deliver nothing, but products of only the highest quality. With utmost precedence on quality, our snap front lab coats go through strict quality assurance mechanisms ensuring high quality deliverables. If you are looking for a customized lab coat, we can help! Get your lab coat featuring front snap with your desired fabric blend, colors, sleeve preference and size. What’s more exciting that apart from the multiple color and design options, you can also select the desired buttons of the lab coat you are thinking to purchase. Rest assured, all products are designed in a manner to offer you a personalized fitting. This isn’t it! We offer personalization services where you can get your names, logo or monogram embroidered on your favorite lab coats for as low as $3. Get a distinct look and make a statement at work with our high quality snap front lab coats. Why wait? 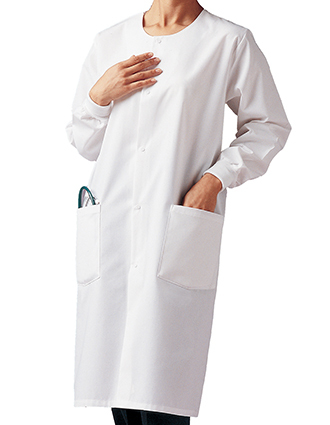 Order your favorite medical lab coats in bulk and get attractive discounts and deals. At JLC, we believe in giving greater value!